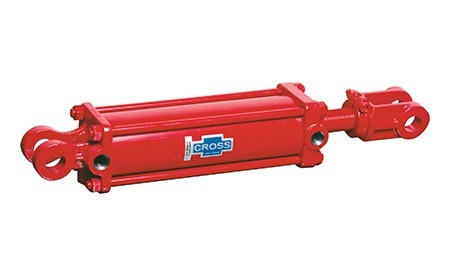 DU & DE Series Hydraulic Tie Rod Cylinders | Cross Mfg. Cross DU-ASAE are like the DB-ASAE except rod extension is threaded for mechanical depth control. See DB-ASAE Series. Cross DU-ASAE ORB are like the DB-ASAE except rod extension is threaded for mechanical depth control. See DB-ASAE ORB. Cross DE-ASAE cylinders are the same as the DB-ASAE cylinders except threaded rod extension with a mechanical depth stop. Cross DU-ASAE ORB are like the DU-ASAE except mechanical depth stop included. (Part # 1E6001-1, 1 1/4-12 thread).